Camp Timberlane is a camp for boys located in Wisconsin's North Woods, just north of Minocqua, WI. 2019 is our 59th summer of camping fun and friendship. Each year 160 boys from over 30 cities across the US join us for 4 or 8 weeks of wholesome, outdoor fun in a genuinely non-competitive environment. Directors Leslie and Mike Cohen have over 50 years of camp directing experience between them. While Mike spends his winter preparing for the summer, Leslie teaches at the University of Arizona. They have 2 children, Associate Camp Director, Dustin (25), and Samantha (22). We invite you to contact us if you have any questions or would like to discuss camp with us in more detail. Our campers come to us from Phoenix and Tucson, AZ; San Francisco, Los Angeles and San Diego, CA; Denver, Boulder, and Breckenridge, CO; Chicago, IL; Cleveland and Cincinnati, OH; Atlanta, GA; Indianapolis, IN; Omaha, NE; Rockville, MD; Alexandria and Lutherville, VA; St. Louis, MO; Kansas CIty, MO; Kansas City, KS; Nashville and Memphis, TN; New Orleans, LA; Tulsa, OK; Louisville, KY; Houston and Dallas, TX; Seattle, WA; Milwaukee, WI; Hong Kong, and Mexico City, Mexico!!. Each summer more than 80% of our campers return to us from the prior summer, and we also do an outstanding job of quickly welcoming first-year kids into camp. 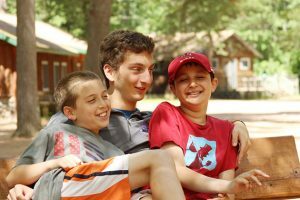 Our cabin groups consist of 8 - 12 campers who are all going into the same grade level in school, and each cabin will have 3 or 4 counselors. Our staff is the most crucial part of a positive and successful summer for our campers. We're very careful in selecting them. We have roughly 85 folks on our staff, a large number of whom are returning from prior summers. Many were campers at Timberlane, growing up through our leadership training program. Our recruiting and selection process for new counselors and trip leaders is meticulous and comprehensive. If you are considering a job with us this summer, you can keep reading, or you can click here for more information about joining us. 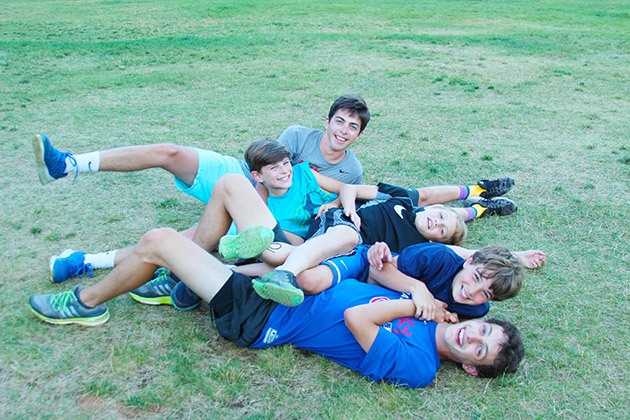 Our staff enjoys solid support and invaluable training to enable them to be their best for our campers.